Volunteer firefighters are the best the community has to offer. Their job is dangerous, and the paycheck is a “thank you for saving my family” or “pulling my daughter from her crushed car.” Often, the call they respond to is from a friend or neighbor. When they need to call on a bank, they prefer to sit across the desk from a neighbor. Firefighters who don’t hesitate to enter a burning house think twice about going into a corporate or out-of-state bank for a loan. That’s why the Vinemont Providence Fire Department has been banking with Merchants Bank for over 11 years. They knew their local banker Maxine Ray would look beyond spreadsheets and financials to provide the best possible service for all of their banking needs. Maxine went out of her way to assist them by making loans for essential purchases such as new vehicles and equipment. In most cases, she made a decision the very same day which is vital to a fire department that needs an answer quickly. 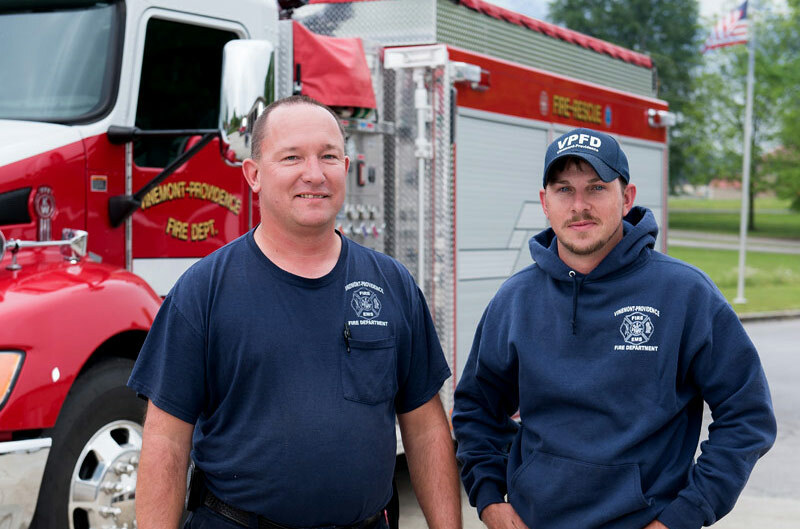 Keeping a volunteer fire station open takes more than dues, taxes and fundraisers. It takes a bank that shares their commitment to community. Our towns depend on volunteer fire departments to always answer their call. Merchants Bank of Alabama feels firefighters should ask no less from their bank.